This book was enlightening in a way that no other cookbook or autobiography has been. These fundamentals, things most chefs I assume learn in school, seem simple, and probably are to many people, but weren't for me. For example, my husband doesn't cook with salt. Growing up, his father had health issues and they cooked without salt and added it at the table for those able to have it. My husband has cooked this way forever! So, when he started cooking for me, and I insisted that adding salt at the table WAS NOT THE SAME!! :) He was not convinced. I would hover while he was preparing meal, asking, want me to season that? 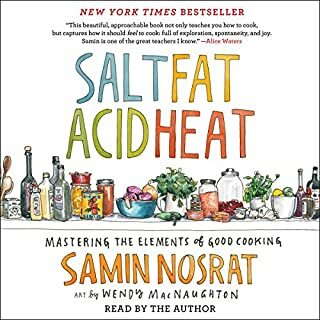 After reading this book, I know why salt applied at different times makes a difference in how the meal tastes. I can now explain why I like salt applied before cooking, and I even learned what a difference salting meats hours or a day in advance can make! I also learned that adding lemon juice can give a salt like taste to meals and I've used it in soups when I wanted to limit salt, like when I cooked for my grandmother who like my husband's father, couldn't have a lot of salt. It works!! Besides the great cooking advice, the stories the author tells were very entertaining, I greatly enjoyed this book. I bought it in hardback as well I liked it so much. I enjoyed this audio book. It was succinct, fun, and the narrator was great. I appreciated the description of the elements with their descriptors, such as pentacles as creation and fire as passion. I identify fire with swords and air with wands, so this separation makes it very easy for me to correlate to. 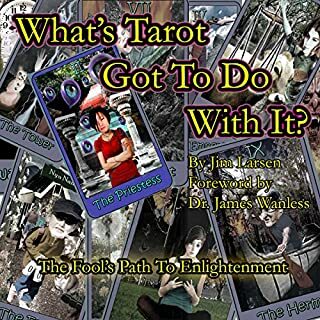 The journey through the cards was simply laid out and it made for an easy listen, not too much detail for me to lose track of while listening at work. This is one of my favorite Dean Koontz books. I don't are for his more recent, heavily shove-it-down-reader's-throat politicized themes with gun touting violent heroes of super human quality. I prefer the Koontz style in this book, carefully thought out, richly plotted, quirky, real seeming characters that have such interesting, real yet unusual relationships. I like it when Koontz keeps me guessing until the end, doesn't hit me over the head with obvious and blatant political themes that make me roll my eyes so hard my head hurts and I end up putting the book down for good. False Memories is a great mystery, spooky and dreadful in its dark tension. As a reader, I just knew something horrible was going on, but I couldn't put my finger on what! The characters were so real and sympathetic I didn't want anything bad to happen to any of them, and I was on the edge of my seat in anticipation, unable to put it down, listening in the car, while doing housework, while cooking dinner. I was caught up in a detailed world, expertly crafted, the scenes, the rooms, the inner thoughts, the dog, all of it. The narrator did a perfect job, conveying emotion and suspense without being an over the top distraction. I could vividly see every scene, picture every character and I worried for what was going to happen. A really good listen. 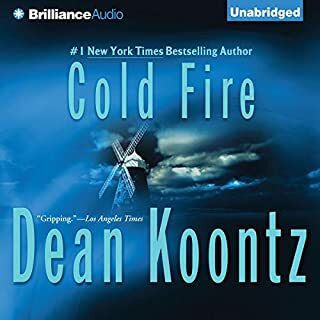 One of the best I've listened to as well as one of the best Koontz novels. I would listen to this audio book again. I found the character unusual and the story charming. Too many characters are the same it seems, with very similar story lines, lots of action, less thought and character development. In Remnant, I found the characters interesting, the culture created different and the character was well suited for the environment and culture. Too often, the main heroes of the story are rebels bent on change, when often, people aren't like that. It's refreshing to read about am older adult shaped by her circumstances responding to something unusual. The author described the environment and people (or aliens) with few but very descriptive words. I don't like when books are so heavy on description that I'm wading through page up page or an hour in an audio book on descriptions of excruciating detail. I much prefer Moon's style, sparser on wordiness but creating rich worlds to envision. The narrator does a great job, conveying emotion and tension without being over the top or distracting to the story. I would listen to other books by this narrator. The only small negative reaction I had, was that at the initial alien encounter, I had difficulty believing the old woman would have simply had such a small reaction to encountering aliens. The colonists were mostly shielded from the native wildlife, she was alone for the first time in her life, and I just couldn't buy that she would have gotten over the encounter so quickly and just started treating them like ignorant children. Would you listen to Blood Oath again? Why? I would (and have) listen to this series again. I have bought it on Kindle and paperback as well. This is a fun, uncomplicated, exciting suspense story. I love the characters, the back story and the plot. The ending was honestly rather predictable, but I enjoyed it all the same. It was rewarding and satisfied all plot threads. Pinchot brings life and a voice to Cade that I don't get from reading the book alone. now, when I read the book, Cade has Pinchot's voice! He imparts a dry humor that isn't as obvious in the book that I very much like. I have to admit, this book it not well written. The writing style is immature and amateurish enough that if I had started out reading it, I would have stopped. Point of view changes in the middle of scenes, characters sometimes do and say childish things that make me cringe when I read them, but when read by Pinchot, it was easier to follow and gave what came across as immaturity and poor writing in print form that dry humor that I find appealing in Cade. The shifting points of view are easier to follow with a narrator who changes tone subtly to indicate different characters. Unlike the second two books in this series, this book was easier to put down. Even with the excellent narrator, it was hard for me to get past the poor writing, strangely childish comments made by supposedly mature, experienced, capable people, the badly portrayed women and over exaggerated descriptions. However, I liked the characters, premise and story line enough that I kept going. I'm glad I did, because subsequent books are even better, well written, with less childish (though still sarcastic) characters and interesting, inventive plots. 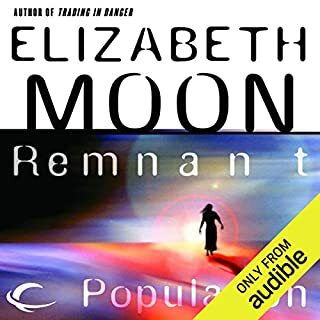 As I said, I own the series in three formats, my husband even loves these books, so even though I had some criticism, I still rate this audiobook at 4 stars overall. I encourage listeners who might have some of the same initial reactions that I had to give the story a chance, and definitely give the rest of the series a chance, because I've enjoyed these books more than most. If this was a TV series, I would watch it. In fact, would someone please make this a TV series? 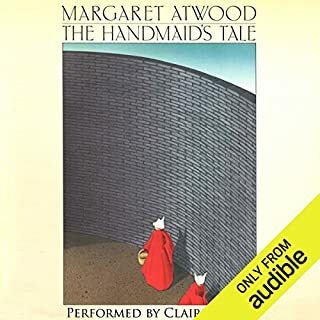 Would you listen to The Handmaid's Tale again? Why? I would listen to this book again. The story was simply told but very complex. I found myself concentrating on one aspect of the story and thinking about it as I was listening, and at the same time, I realized there were other concepts I wasn't focused on or thinking about. I can see myself getting at couple listens out of this book there is so much in it to think about. This book didn't make me laugh or cry, but it did give me foreboding chills. I have never read this book before, and a few commenters on news articles I read about recent political developments and actions around the country kept saying that the previously seemingly extreme plot of this book seemed more possible. I was curious and wanted to find out if that was true. I'd heard a lot about this book and wanted to see for myself how dystopian it was and whether or not it seemed more possible now. 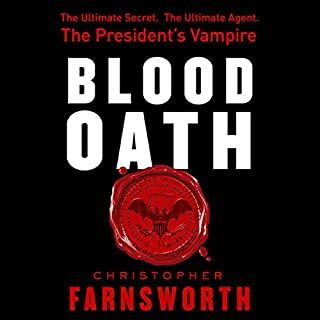 I have to admit, after reading the book, the seeds that started the plot in this book I can see in current happenings and that did give me chills. I still think the book it extreme in it's premise, extreme to make a point and issue a warning of how easily rights can be taken away and that there are more than a few in this world who would like to take those rights away. While I think A Handmaiden's Tale is still an extreme representation, I know it seems closer to really happening now that it would have if I'd read it a year ago. The narrator did very well. She conveyed nuance and emotions in a simple, sparely worded story, when often all there was to go on was brief descriptions and spoken words without tone descriptors, the narrator communicated the inflection perfectly to the story! Would you try another book from Dean Koontz and/or Carol Cowan and Michael Hanson ? I have read other books by Dean Koontz and might read another but more and more I find his books to be rather ridiculous. The narrators both did a great job and I would listen to them both again. Maybe the new John Sandford Prey book. I liked the way Koontz wrote and described the initial scene with the main hero in the supermarket, when he had his first "fit" of the book. The descriptions of the sun on the cars in the parking lots, how he felt, what he thought, the description of his travelling to Portland were very well done and gave me such high hopes for the rest of the book. Maybe. If they did a better job with the character depictions. I really wanted to like this book. But, as with so many of Dean Koontz's more recent books, I found his character depictions over the top caricatures. His bad guys were tattoos, earringed, long haired, psychopaths who murder husbands and fathers and abduct innocent, helpless women and children, and his hero was a divinely anointed John Wayne super hero. The cardboard bad guys straight out of a bad 80's B-movie got to be too much and the unrealistic car chases and gun battles on the side of roads had be rolling my eyes by 1/4 of the way through. None of the characters were believable or likable and the story line was so unrealistic as to be ridiculous. I enjoyed his book Watchers and the first couple Odd Thomas books, but more and more his books are like this one and I have no interest in pursuing them. 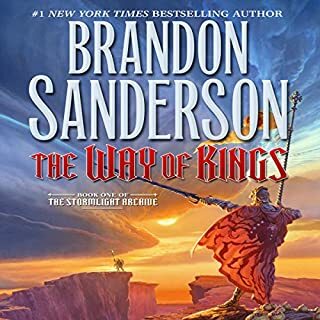 Would you listen to The Way of Kings again? Why? Maybe. I don't know. It was ok. The story was interseting. The world was unique and kept my attention. BUT, and this is a big but, the writing style was almost painful to listen to at times. I've tried so many times to read and/or listen to this book, for literally years, and it's very difficult. The writer describes EVERYTHING in such minute detail that at times a simple scene takes FOREVER! Everything, and I mean EVERYTHING, is described in so many ways and so many words, every step, every move, every sword slash, every thought, all take an entire paragraph. I would recommend reading through this rather than listening. I for one can read much faster than I can listen to an audio book, and reading allows me to skim sometimes when the sheer description is tiring. If you like The Wheel of Time series (another series that took me SOOOOO long to get through because of the page and pages of only description) then you'll probably like this series as well. I think this author is the same one who finished out that series anyway, so they are the same style. I think this explains the narrater's monotone while reading this book. Its probably hard to create inflection when there are paragraphs upon paragraphs of description. Yeah, the narrater read most of this in an annoying monotone. None of them. They all kind of blend together. They all seemed the same. I didn't feel there was much characterization or difference between the characters. Disappointing. This was probably my biggest critisism. What aspect of Kate Reading and Michael Kramer ’s performance would you have changed? More inflection. The monotone reading style made the high amount of descriptions harder to get through. Not really. Due to the writing style and the monotone reading style, the whole book just sort of blended together. If you like The Wheel of Time series, you'll probably like this. If you're trying to decide to read or listen to the audiobook, I recommend reading it. I can see why most people give this book such high ratings. It's creative and unusual with a well developed and facinating world and culture, but at the same time, I was just bored to death by all the descriptions. It really ruined the pace and suspence of action and figh scenes for me, making them drag on and on. I like more tightly written books such as those by C.J. Cherryh and John Sandford where the fast pace and character development keep me engaged. Guess I don't find pages upon pages of detailed descriptions engrossing. Four complete and unabridged selections from the electrifying bestseller read by a stellar group of narrators. "The Raft" is the unforgettable tale of an idyllic autumn swim suddenly transformed into an ordeal of unbridled horror. "Mrs. Todd's Shortcut" is a story in which a middle-aged woman in a Mercedes roadster finds a terrifying pathway to paradise. "The Monkey"—is it merely a child's wind-up toy, or an incarnation of the purest evil? "Gramma" is the story of a little boy left in charge of his sick grandmother, who's dying to give him a hug. "The Raft" is the unforgettable tale of an idyllic autumn swim suddenly transformed into an ordeal of unbridled horror. 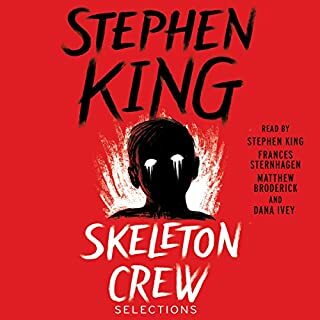 Read by Stephen King. "Mrs. Todd's Shortcut" is a story in which a middle-aged woman in a Mercedes roadster finds a terrifying pathway to paradise. Read by Dana Ivey. "The Monkey" is it merely a child's wind-up toy, or an incarnation of the purest evil? Read by Matthew Broderick. "Gramma" is the story of a little boy left in charge of his sick grandmother, who's dying to give him a hug. Read by Frances Sternhagen. All the narrators were very good. I liked every one of them. Inflection, dialogue, emphasis, all were executed perfectly. Well done. I was excited to listen to The Mist and was very disappointed that it wasn't as advertised. The amazon product page has the correct "selections" listed, so why doens't the audible page? Misleading and deceptive. Please fix. I've listened to the first two books, and have grown to enjoy the characters, the strange yet somehow familiar and facinating settings and plot lines. This story in particular, was an unexpected history lesson in the strange and the facinating. 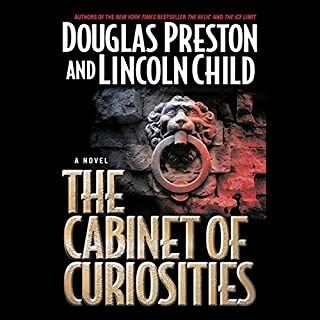 My favorite scene was set in the book's past, envoked by a letter written by an owner of a curiosity cabinet in 1870 (I think it was), the horror, the vivid descriptions, the tangible suspence, and the morbid facination was riviting. And, I rather enjoyed all of Pendergast's manners and the ease with which he manipulates and deflates the arrogant poeple who get in his way. It never failed to be satisfying. I missed the characters from the first two books. Pendergast and Smithback was kind of a more minor character in the first two, but they are the only two left in this book in addition to a new female scientist character that while interesting and likable was new and not what I expected. I miss the main characters I had grown rather attached to from the first two books. In addition, the narrator does a great job. I read some pretty terrible reviews, and almost didn't buy this audio book. I must have the same narrator, but I kept thinking that couldn't be so, because I quite enjoyed his reading. Some complained of an uplift in tone (as if asking a question) at the end of sentences that weren't actually questions. I anticipated this, waited to be annoyed by this verbal affect, but honestly, I didn't notice the narrator doing this AT ALL. Unless, of course, he really was reading a question. There were a few, very few, technical mistakes where a sentence was repeated twice in a row, but it was only a few seconds, and happened so infrequently, it didn't in the least take away from the overall story. I am rather baffled by those reviewers who professed that these things completely ruined the book for them, because it was really no big deal at all for me. I know a change in narrator can be irritating. I felt the same way when a book in Butcher's Dresden Files series was narrated by a different person, and it completely ruined the book for me. So, if you've listened to any of the other books in this series, I would recommend to listen to the sample first. But I encourage you to give this book a chance. I almost didn't and I'm glad I did. I would have missed out on something great if I had passed it by.